Buick offers a luxurious three-row SUV at a great value with the Enclave. 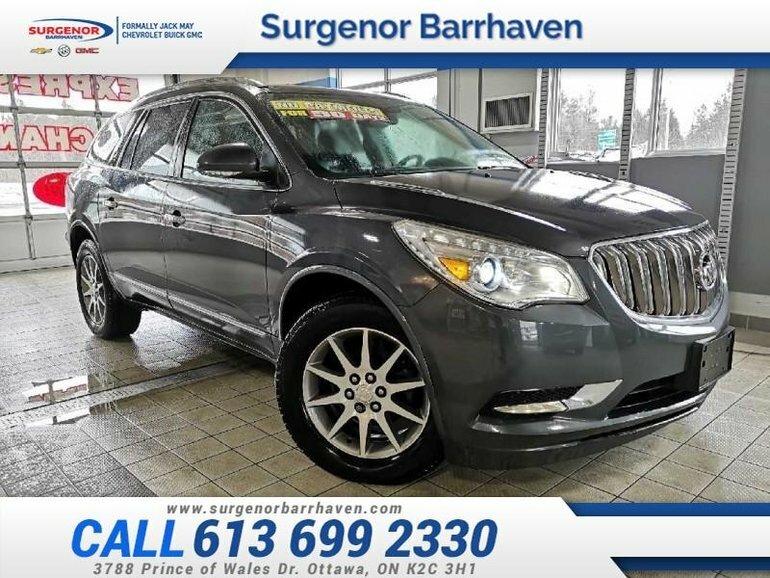 This 2014 Buick Enclave is for sale today in Ottawa. 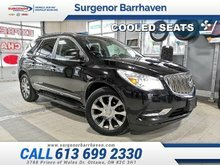 The 2014 Buick Enclave is a full-size crossover SUV with ample space for passengers and cargo and plenty of luxury appointments. 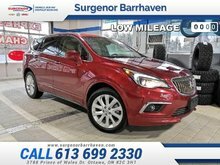 It offers three rows of seating and an exceptionally quiet ride for an SUV plus the bonus of a family-friendly price. If you're looking for an alternative to expensive luxury SUVs from the import brands, check out the Buick Enclave. This SUV has 127512 kms. It's gray in colour. It has an automatic transmission and is powered by a 3.6L V6 24V GDI DOHC engine. 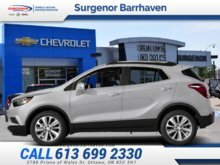 This vehicle has been upgraded with the following features: Bluetooth, Leather Seats, Heated Seats, Memory Seats, Premium Sound Package. Our Enclave's trim level is Leather. The Enclave Leather meets all the characteristics and qualities you demand - style, technology, performance, and safety. It offers features like 19-inch aluminum wheels, IntelliLink with a 6.5-in touch-screen display, Bluetooth, 6-speaker audio system, 8-way power driver and front passenger seats, leather seats, heated driver and front passenger seats, 3rd-row fold-flat 60/40 split bench seat with SmartSlide access, memory settings for driver seat and exterior mirrors, and Side Blind Zone Alert and Rear Cross Traffic Alert. 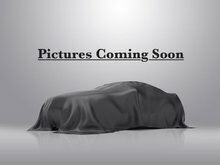 Buy this vehicle now for the lowest bi-weekly payment of $116.61 with $0 down for 84 months @ 6.99% APR O.A.C. ( Plus applicable taxes - Plus applicable fees ). See dealer for details. Interested in the 2014 Buick Enclave Leather - Bluetooth - Leather Seats - $116.61 B/W ?